Ready to sell your domain? Do you have an established or a unique domain name you would like to sell? Let us help you find the right buyer. BuySellAccounts.com is the only company on the web that will find the highest paying buyers, negotiate the best price, and pay you directly from our own pocket. No automation, no listing your domain on countless auction sites, we basically do all the work for you. We provide good old-fashioned elbow grease performed by our team of dedicated staff members. Before you submit make sure your domain qualifies! 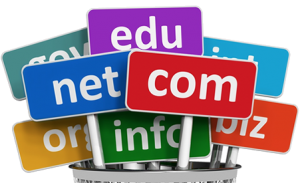 We generally only accept .com, .net, and .org domain names. However, we’re willing to make exceptions if the domain name is desirable. Long domain names are only accepted if they have an established history, including positive ranking scores and lots of organic backlinks. So, does your domain name qualify? If yes, then please contact us by submitting the form on this page. We will contact you in a few hours to further verify your domain. Please be aware that we might ask for additional information before we can find a suitable buyer. By submitting this form, you agree to our seller rules.